D.Sc. Nani Pajunen is a leading specialist in the Circular economy focus area. Nani’s goal is to promote solutions which implement the sustainable use of natural resources, the efficient circulation of materials and a long product life cycle. Nani has been a specialist in industry, worked as a consultant and has led research and development projects involving co-operation between companies and universities. She holds a master’s degree in civil engineering and a licentiate of technology in environmental law, and wrote her dissertation on the circular economy from the perspective of the processing industry. Rob has been working in circular economy for over the past 4 years in a broad range of areas.Currently, Rob works for Madaster that has the mission to give all buildings a materials passport. 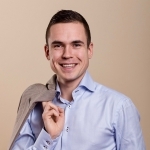 In construction, he worked as Project Manager with C-creators on a multi-stakeholder program for the construction sector to advance circularity in construction projects throughout the metropolitan region of Amsterdam. Rob also worked for the campaign Netherlands Circular Hotspot to promote the country as frontrunner in circular economy. Rob has an educational background in International Business and holds a degree from Hult International Business School. 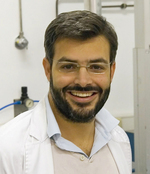 Yiannis Pontikes is a BOF-ZAP associate professor at the Department of Materials Engineering, KU Leuven. He is leading the Secondary Resources for Engineered Material (SREMat) research group, that consists of approximately 15 post-doctoral and post-graduate researchers. SREMat has built an expertise on the valorisation of residues towards ceramic, cement and inorganic polymer (geopolymer) formulations, from the level of binder synthesis all the way to full scale prototypes. Yiannis has been a co-author in >60 peer-reviewed journal papers, he is currently work package leader or project coordinator in 12 national and international projects and is participating in different fora and networks (SIM2 at KU Leuven, CR3 in USA…). 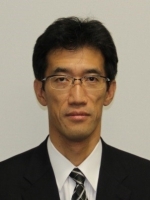 He is one of the founders of the Journal of Sustainable Metallurgy, where he serves as the managing editor.